Ordering Empanadas | PAMPEANA EMPANADAS - Seattle and Tacoma's Home of the Baked Empanada! We provide empanadas baked at local farmers markets or you can order frozen empanadas and we will have them ready for you for pickup. 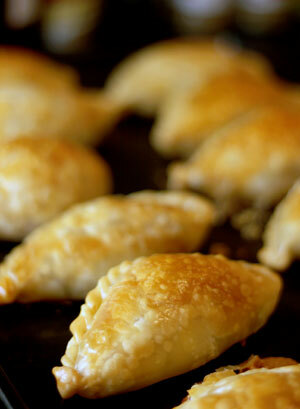 If ordering frozen empanadas to pick up at a market, please place your order by Tuesday to pick them up that weekend. Thank you! You may pick up your order from us from a variety of locations listed below. There are no minimums and you can mix and match what flavors you'd like. * It's always best to check our Facebook page to get our farmers market status for the coming weekend since schedules do change. 44th Ave SW & SW Alaska St.
*If you're planning on picking up dough or chimichurri from us at a farmers market, please email us to give advance notice so we can be sure to put some aside for you!